Weeds are a nasty sight for many gardens or grounds and difficult to remove without the proper support. To stop these horrid unwanted plants from leeching off of flowers and other nature in your garden, choose Nightingale Ground Care for professional weed control in Romsey. We operate as a leading grounds care service in and around the Romsey area. Over the years we have dealt with tasks big and small and always aim to make sure we leave the best results. No matter if you have a small number or large group of weeds you need removed, we can make sure we complete the task to the highest standards. We pride ourselves on our first-class service and will do all we can to make sure you are happy with our customer support. 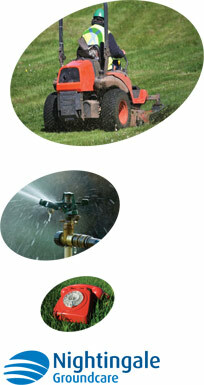 You can rely on us for attentive, experience and reliable weed control services. Using the latest technology we can really attack those weeds so that they are gone for an extended period of time and leave you with a fresh, healthy garden. Don't hesitate to find out more about this and our other services by taking a look through our website today or contact us directly to discuss your weed control or removal requirements with our staff.